I was printing in the studio room of my house over the weekend, when I realized that it was the first new print I’ve made since graduating from Portland State last June. All summer I couldn’t use this space due to our attempts to sell this house, and having to keep the inside “show ready”. Now, as the sale will not happen, I was getting everything set up when I realized how little the space is which I have worked since moving in five years ago. I no longer have access to a printing press now that I’m not in school and can’t afford a pay to use shop. 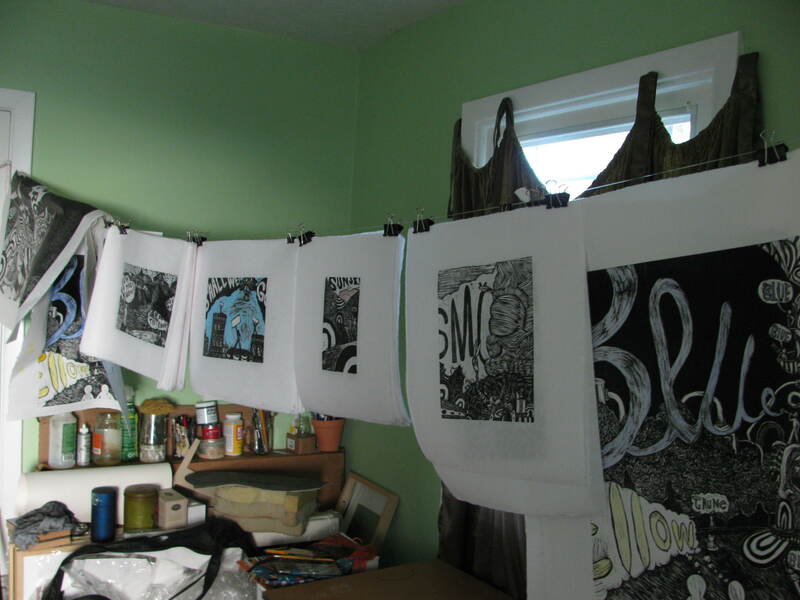 My eventual goal is to purchase my own press and create a larger work area on my property, but that is down the road in small increments of nest egg additions. 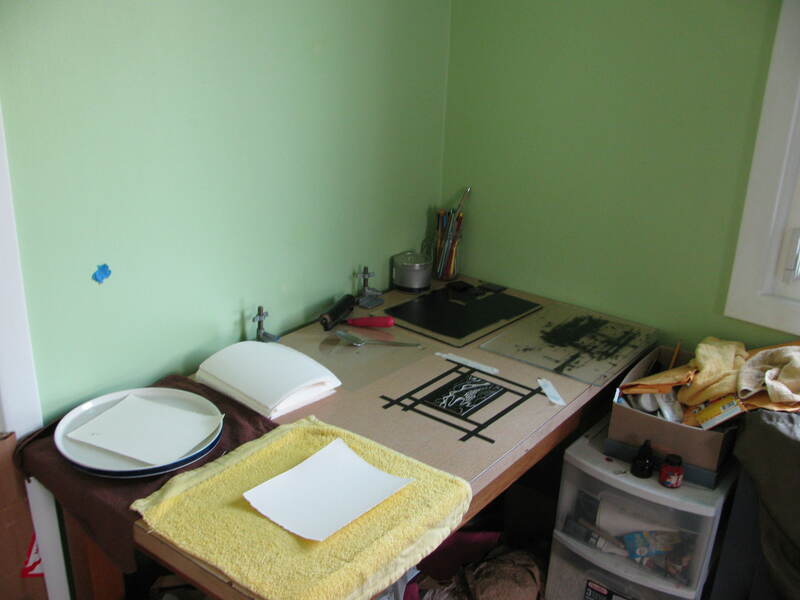 For now, here is my print studio. I print everything by hand with a metal spoon. 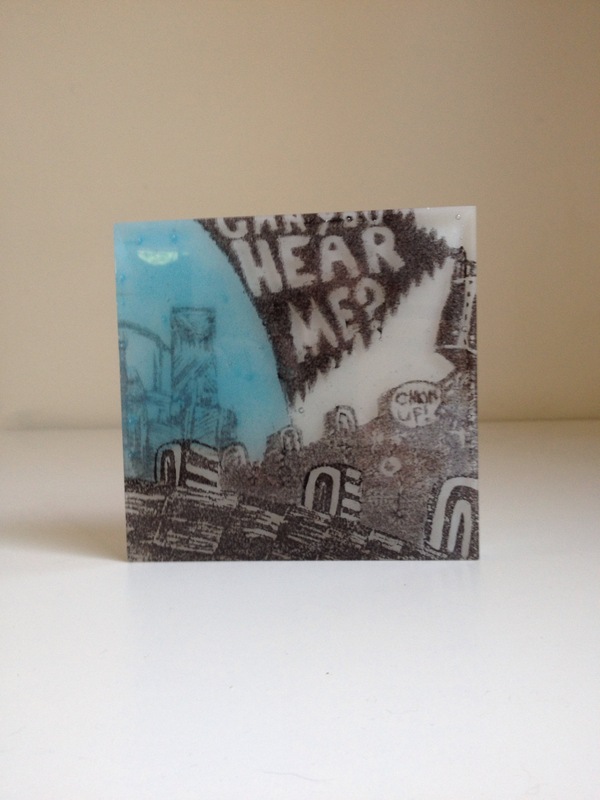 I have printed 40 of the plate seen in the pictures below, and plan to print at least 25 more for the edtion. Here is my little corner of the room. We share the space. My wife has her sewing room on the other side. 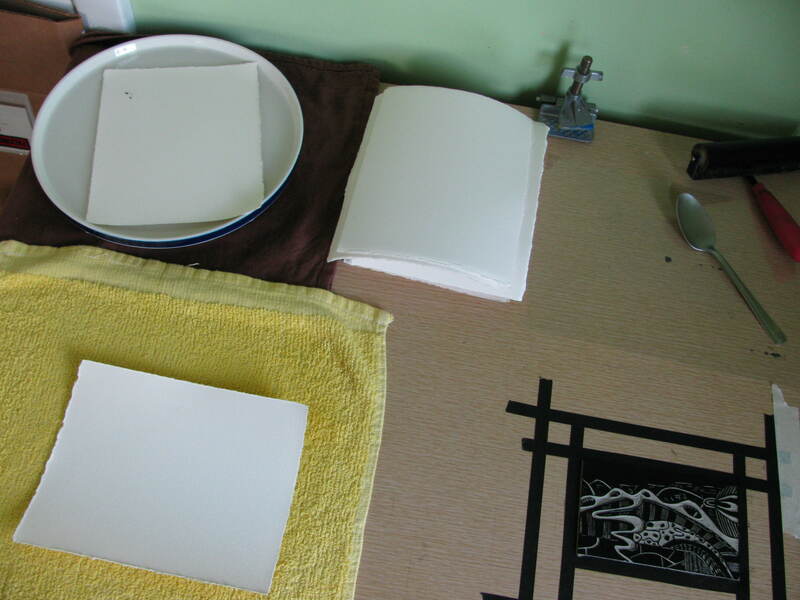 All on this table are water bath(kitchen plate because the print is small), drying area, inking station and printing area. A closer view. 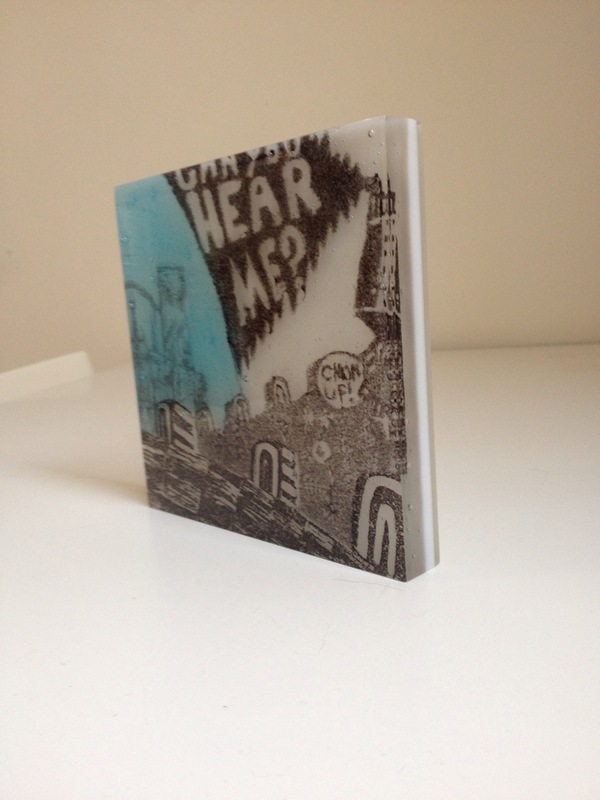 The table also has clips for screen printing. For bigger prints I lay down a plastic tarp on the floor to soak the paper, which gives more tabletop space to print. Soaking on the floor makes for a little more daring cleanup, but it’s effective. My drying rack. It’s an old box that I’ve carried around with me from apartment to apartment, from Pittsburgh to Portland, and never had a use or a reason to throw it away…. until now. It works great for keeping the cats out of the prints. 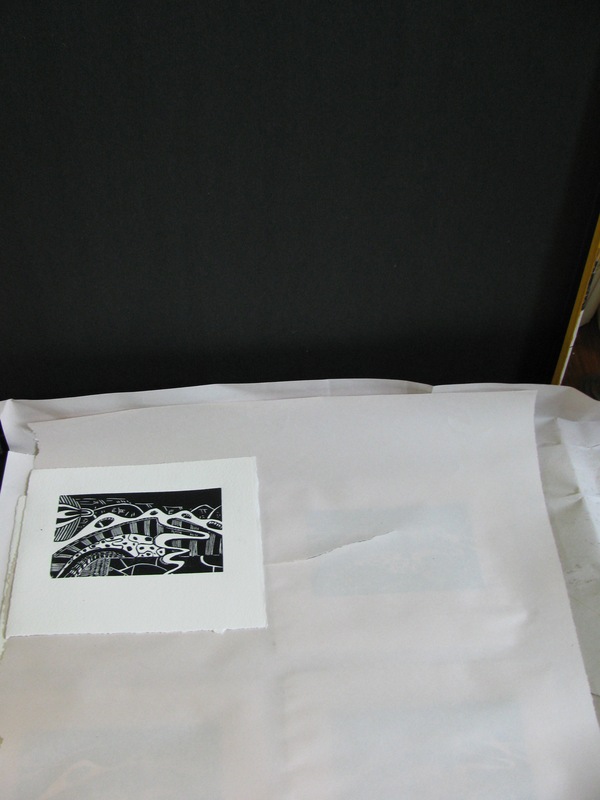 I’ll include images of the finished print once the edition is complete. I just thought these photographs might give a little interesting insight into my working environment.